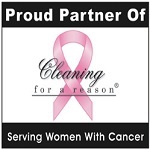 Having a cleaning service is very useful in helping to keep your life in order. Between work, kids, pets, and/or whatever you have going on, keeping your house under control can be a real challenge. But how do you choose the best one for you? It’s important to know exactly what you’re getting into, and knowing the right questions to ask to get what you want in a maid service. So here are a few guidelines that will help you through the process. 1. Is the company insured and bonded? Never let anyone into your home before you know for sure that they are. This will protect you from being held accountable for anything being broken, lost, and anyone getting hurt. Some companies will skimp on paying this expense to keep their prices down, but if anything happens, it will likely have to come out of your pocket. 2. Does the company run background checks on all of their employees? I don’t think I need to elaborate on why this is so important. ALWAYS make sure checks are done. If the company says no or won’t give you a straight answer, hang up and move on. 4. What WON’T the company do? Find out the limitations of the service, such as reaching high places and cleaning behind furniture. 5. What products do they use? If you want limited or no chemicals used, you always want to let them know. Many companies advertise as being green, but will use products that are publicized as such because they are “mostly green” or “packaged from recycled material.” Some companies offer cleaning either way, or a mix of the two, depending on what you want. 6. How is their pricing? Almost every company has different ways of charging for their service. Do they charge hourly or is there a fixed rate? Call me biased, but I’ve never had great experiences with hourly. For example, I once hired a moving company who charged by the hour, and took 5 hours to move out what a previous company with a fixed rate took 2 hours to move in. Also, be wary of maid services who have a “too good to be true” price tag…that usually means some expenses are being sacrificed that you don’t want to be a part of, such as insurance, employee taxes, background checks, sales tax, and good quality products.